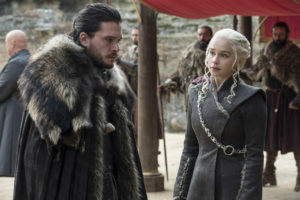 HBO received a total of 108 nominations for the upcoming 70th Annual Emmy Awards, with its hit dramas Game of Thrones and Westworld getting more than 20 nominations each while new comedy Barry received 9. Fantasy epic Game of Thrones received 22 nominations including Outstanding Drama Series, 2 for Outstanding Supporting Actor in a Drama Series (Nikolaj Coster-Waldau, Peter Dinklage), Outstanding Supporting Actress in a Drama Series (Lena Headey), Outstanding Guest Actress in a Drama Series (Diana Rigg), 2 for Outstanding Directing for a Drama Series (Jeremy Podeswa, Alan Taylor) and Outstanding Writing for a Drama Series (David Benioff, D.B. Weiss). 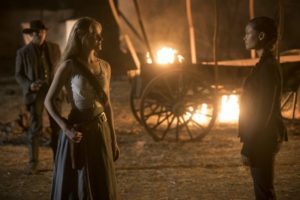 Sci-fi drama, Westworld, which recently concluded its second season with a complex and twist-filled finale, received 21 nominations including Outstanding Drama Series, 2 for Outstanding Lead Actor in a Drama Series (Ed Harris, Jeffrey Wright), Outstanding Lead Actress in a Drama Series (Evan Rachel Wood), Outstanding Supporting Actress in a Drama Series (Thandie Newton) and Outstanding Guest Actor in a Drama Series (Jimmi Simpson). New, dark comedy Barry received 9 nominations including Outstanding Comedy Series, Outstanding Lead Actor in a Comedy Series (Bill Hader), Outstanding Supporting Actor in a Comedy Series (Henry Winkler), Outstanding Directing for a Comedy Series (Bill Hader) and 2 for Outstanding Writing for a Comedy Series (Alec Berg, Bill Hader; Liz Sarnoff). Other HBO shows who were got Emmy recognition this year are Last Week Tonight with John Oliver with 9 nominations, Silicon Valley with 7, The Defiant Ones and Fahrenheit 451 with 5, Curb Your Enthusiasm with 4, The Zen Diaries of Garry Shandling with 3, and 2 nominations for If You’re Not in the Orbit, Eat Breakfast, Insecure, Paterno, The Tale, and Tracey Ullman’s Show. The rest of the nominees are include Ballers, The Magical Wand Chase: A Sesame Street Special, Michelle Wolf: Nice Lady, Night of Too Many Stars: America Unites for Autism Programs, Spielberg, 24/7, 2018 Rock and Roll Hall of Fame Induction Ceremony, VICE, and Vice Principals. 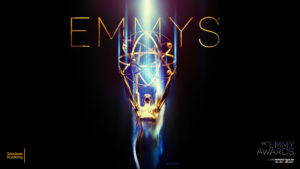 The winners for the 70th Annual Primetime Emmy® Awards will be announced on Sept. 17.